The County Council voted 6-3 in support of a measure to limit expansion of fossil-fuel systems. The King County Council on Monday approved a six-month moratorium on building or expanding major fossil-fuel infrastructure, joining other local governments in the Northwest with similar measures that aim to use local zoning laws to restrict fossil-fuel pipelines, storage facilities and other infrastructure. 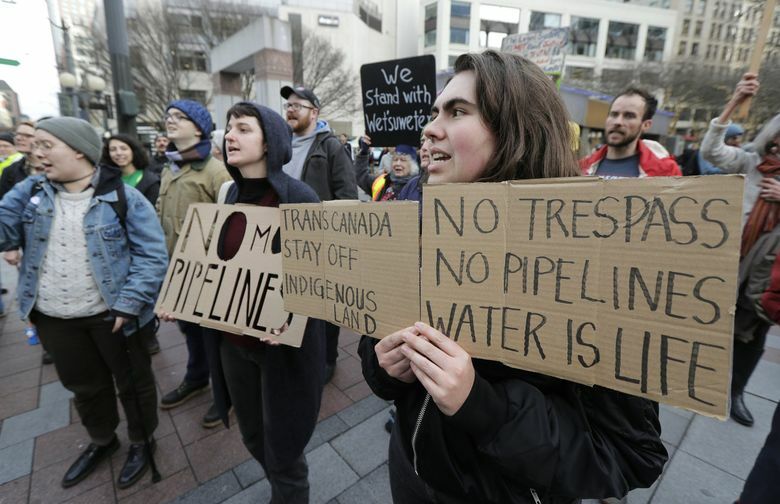 The ordinance, introduced by Councilmember Dave Upthegrove, disallows permitting for fossil-fuel projects in unincorporated King County. It also directs the county executive’s office to produce a survey of existing facilities, study those facilities’ impacts on communities, analyze the existing regulations that apply to them, recommend changes to regulations and permitting, and evaluate county-owned facilities for health impacts. The ordinance also declares a state of emergency. The moratorium is fairly limited. The ordinance does not apply to gas stations or other fossil-fuel products sold directly to consumers. It does not disallow existing infrastructure or directly address rail lines or pipelines, which are regulated by the federal government. It excludes fuel storage for airports, marine servicing facilities and railyards. Before the vote, the council’s halls buzzed. More than 90 activists packed the halls seeking the ordinance’s approval, as children implored the council members to recognize humans are “willingly destroying not just the environment, but ourselves.” Physicians outlined health risks they testified are associated with leaking fossil fuels and global warming and Seattle’s Raging Grannies sang verses pushing for a quick vote. The council members not only debated but also held an executive session to consult with county lawyers over the ordinance, before approving it 6-3. Councilmembers Reagan Dunn, Kathy Lambert and Pete von Reichbauer opposed the ordinance. Dunn acknowledged the harms of climate change but said he didn’t think the county’s moratorium process with an immediate vote was the best way to address the issue. Councilmember Jeanne Kohl-Welles, a co-sponsor of the ordinance, said last summer’s wildfire smoke made an impression on her that climate change’s harms were already here. Other council members acknowledged that the ordinance was limited in scope but felt that it could prompt other local communities to take similar measures and make a broader impact.